We provide a unique range of hand-crafted keepsake gifts for all occasions, most of which can be personalised. If you are looking for something a little bit different, Scottish Keepsakes is your shopping destination! 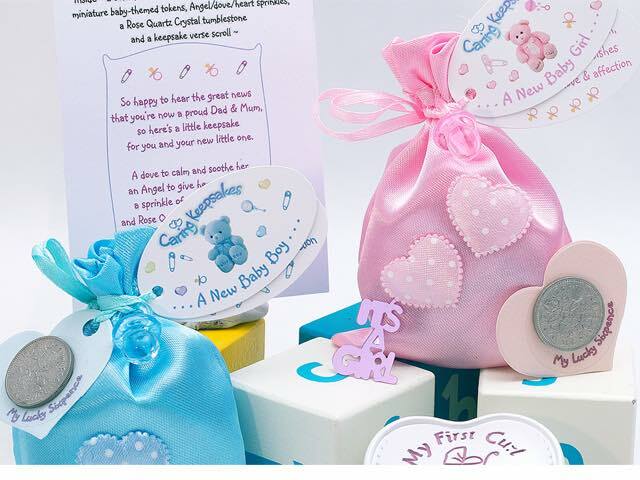 Our satin keepsakes have been carefully made using thoughtful, original rhyming verses, with ‘caring’ themes and contents ~ uniquely put together to bring you, the customer, quality gifts with a difference at very reasonable prices. Scottish-themed lapel pins, satin keepsakes, heathers/thistles and Lucky Sixpences are compact and light - ideal for sending abroad. Our full range of Lucky Sixpences is really popular all year round for Weddings, sending Good luck/Congratulations, Seasonal greetings, Baby/Christening, Birthdays and many more themes (all can be personalised with your own message/names etc.) Take a look at our website or our social media pages to see more, or ask us about our other themes. Table gifts & Wedding favours also catered for.....happy to discuss individual requirements. You are all amazing! Scottish Keepsakes is right behind NHS and the fabulous work you do!